The first important date of the calendar we have just released will soon be here. What are we talking about? That we, the people of Tenerife, already have the tingling feeling of excitement that we start to get when we know that… the Santa Cruz Carnival is nearly here! What about you? Are you coming? This year's theme is ‘The Deep Sea’. You will not be disappointed, we can assure you. We speak from experience! 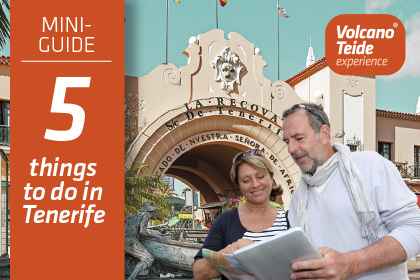 We are writing this blog post so that you know what to do in Tenerife during the carnival dates, which this year fall between late February and early March. You must know that during this time we are transformed, being invaded by an amazing festive spirit, so we do not keep absolutely anything to ourselves. 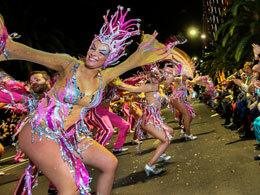 Why enjoy the Carnival of Santa Cruz with Volcano Teide Experience? Because we make it easy for you! And because we take you to places that are inaccessible by other means. Yes, with us you can experience the carnival from the inside, on the front row, comfortably in a privileged spot. All you have to do is choose your favourite event from the ones we're going to offer you now. Let's go! Rhythm and Harmony (Ritmo y Harmonía) is the name of the parade of the dance groups, known as “comparsas”, that takes place on Saturday 2nd March. During the parade, the streets of Francisco La Roche and Marítima are filled with joy, rhythm and colour, which are the key elements of the carnival of Santa Cruz. It is a great celebration which finishes in the Plaza de España. And this is where you will be, in a reserved and exclusive seat, with all of your needs taken care of: a hostess at your disposal to make sure you don't miss anything, toilets within a short distance and a kiosk to have a drink or order a snack. ATTENTION: If parades are your thing, you mustn’t miss The Grand Carnival Parade (also known as the “Coso”) which takes place on the last day of the carnival. We tell you more about this below. If you also want to enjoy the end of the festivity, you can book a seat for both days at a special price with either one of these experiences. 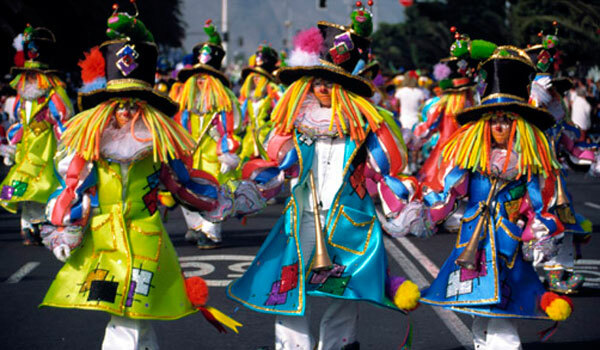 This parade, the last of the Santa Cruz Carnival, takes place on Tuesday 5th March and announces the end of the festivity; it is not known as the ‘grand parade’ for nothing. The parade follows the same route as the Rhythm and Harmony parade, and you can watch it from the same privileged spot. In this case, what you'll see parading is... everything! All of the characters of the carnival, the queens and their courts, the dance groups and the musical groups... It is an explosion of colour, rhythm, music and joy that you cannot miss under any circumstance if you come to experience the carnival of Santa Cruz. Remember that if you want, you can reserve your seat for The Grand Parade as well as for the Rhythm and Harmony parade at a special price. Simply choose this option with each experience. I'm sure you've seen this event on television more than once. 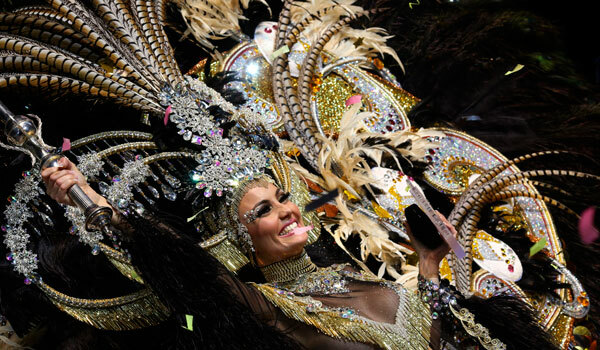 It is televised on many channels, not only national ones but also international and it’s not surprising why: the costumes, the mise-en-scène and the different themes of each year have turned the carnival of Santa Cruz into the second most important in the world, after Rio de Janeiro. 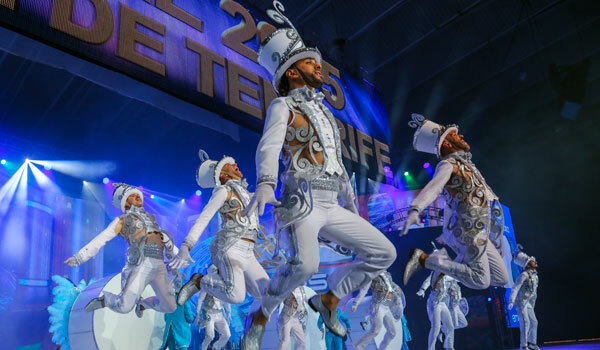 If you want to experience what you cannot see on TV of one of the most famous carnival shows on the planet, this plan is for you. When we say experience it from the inside, we really do mean FROM THE INSIDE. 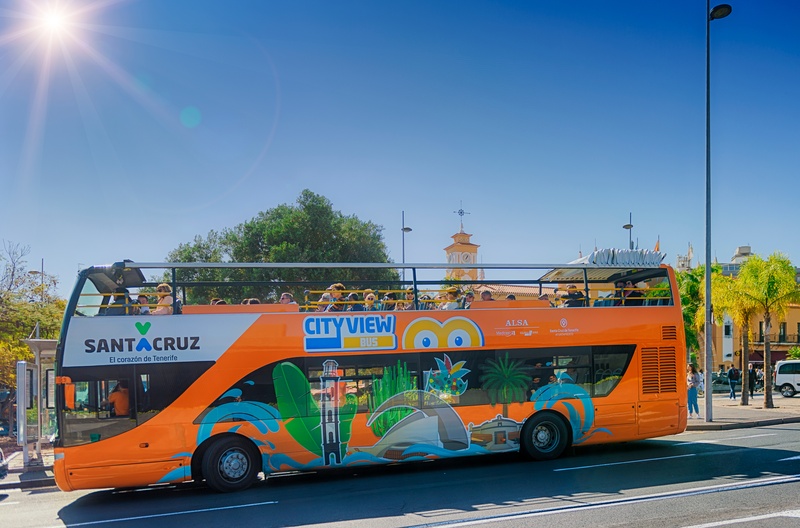 This experience takes you on the tourist bus that drives along the streets of Santa Cruz during The Carnival Announcement Parade and The Grand Carnival Parade. This means that you are able to choose between the opening carnival parade (1st March) or the closing parade (5th March). But watch out: this activity makes you part of the parade! You will have to dress up in a carnival costume and bring all of your energy, as there will be a DJ playing music during the parade. You will also have hot and cold catering on board of the float and free drinks. You will have a great time! This really is immersing yourself fully in the Carnival of Santa Cruz 2019; and never better said, because this year the theme is ‘The Deep Sea’! This is all for today's article. We hope to have left you looking forward to the party as much as we are. Tick-tock, tick-tock... It’s nearly here!